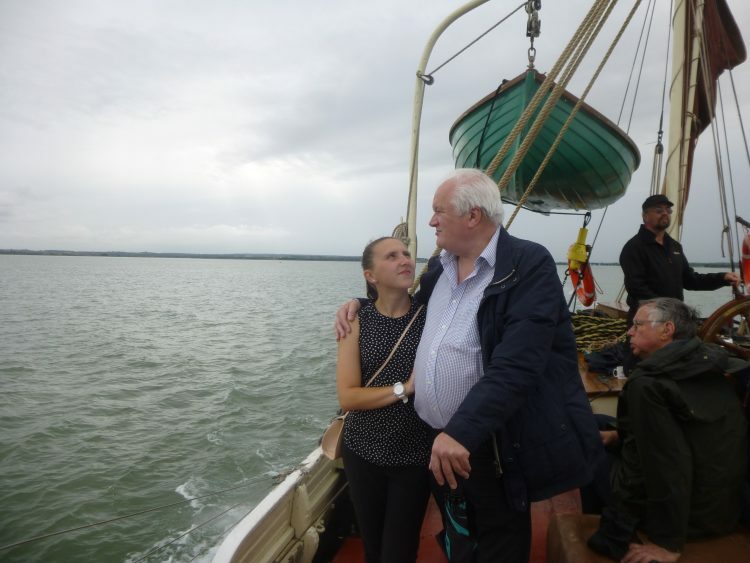 A great day out yesterday on Thames Sailing Barge ‘Kitty’, on a cruise down the Blackwater to celebrate a special birthday for our friend, Robin Greatorex. 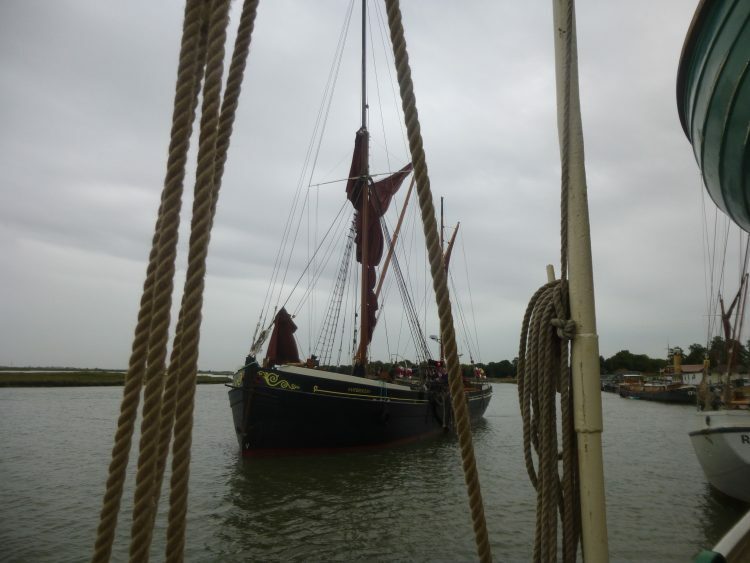 Kitty was moored at the Hythe at Maldon. Kitty in green, with Hydrogen beside her. 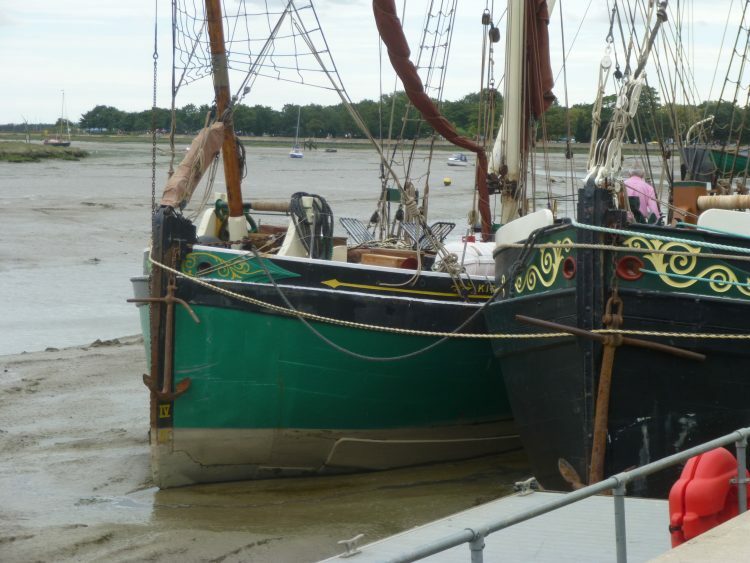 The tide was way out when we arrived and the barges were sitting on the mud. We had to clamber over her sister barge ‘Hydrogen’ in order to get aboard. 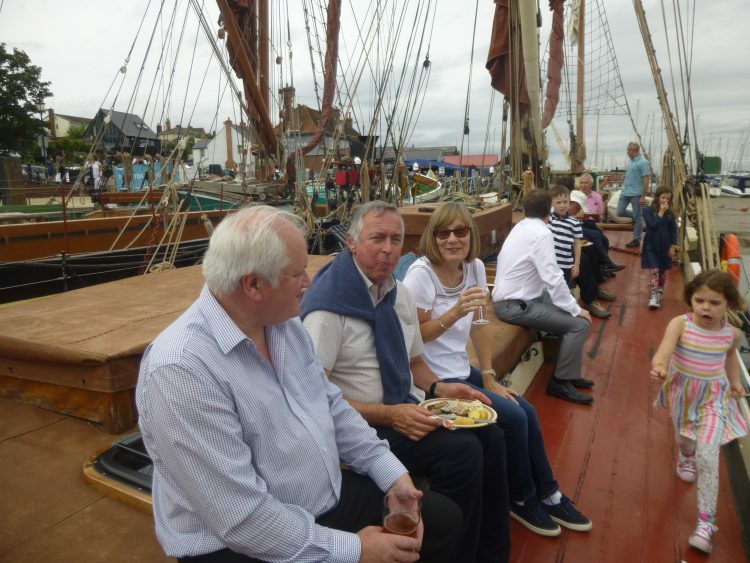 While we were still moored we did the eating and drinking bit – a lovely lunch and very good beer! 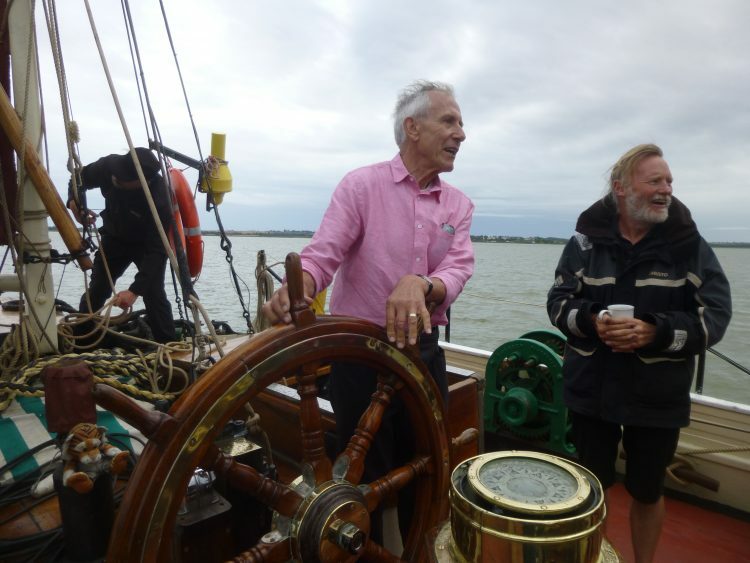 – and at around 4.15pm, when the tide had come in, we set sail. Graham with our friends Stephen and Sue Carter, just finishing lunch. 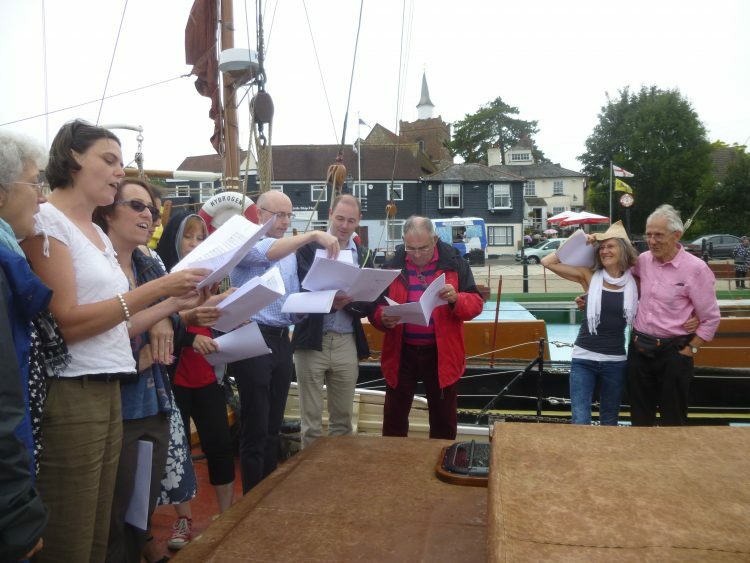 Some of Robin’s Friday Night Choir – still in good voice! 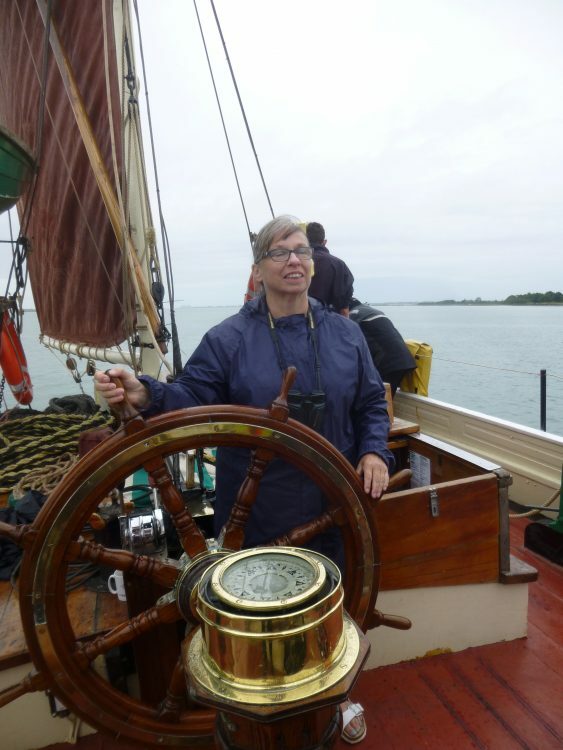 Pulling away from the Hythe. 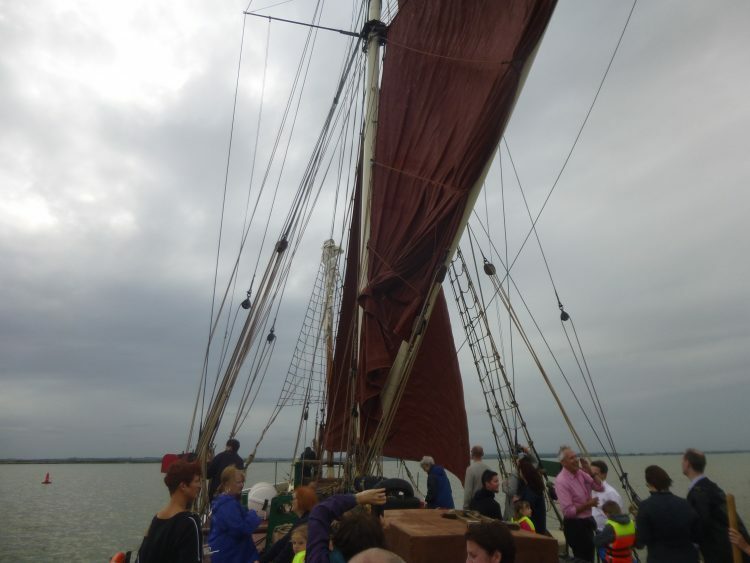 Once we were well away from the quay, the crew got the sails up and the engine went off. Robin steering his birthday boat, with skipper Kevin on hand to advise! 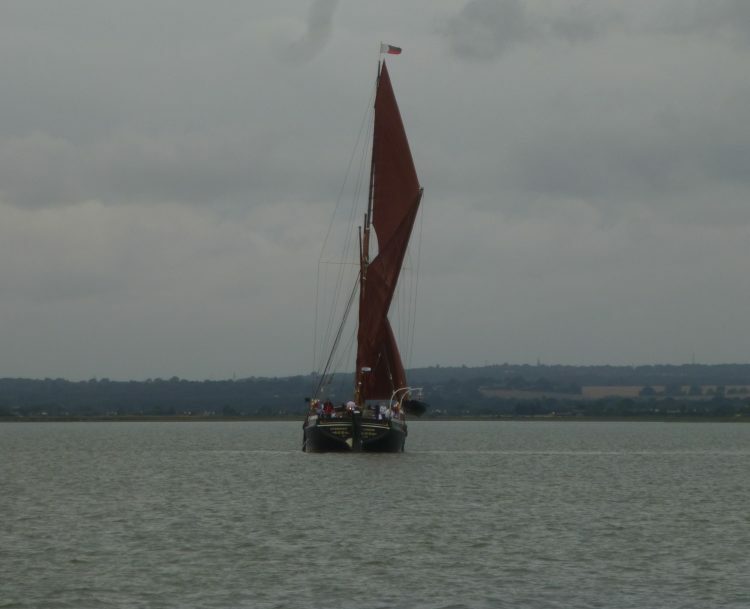 Hydrogen followed us down the river – here she is stern on. 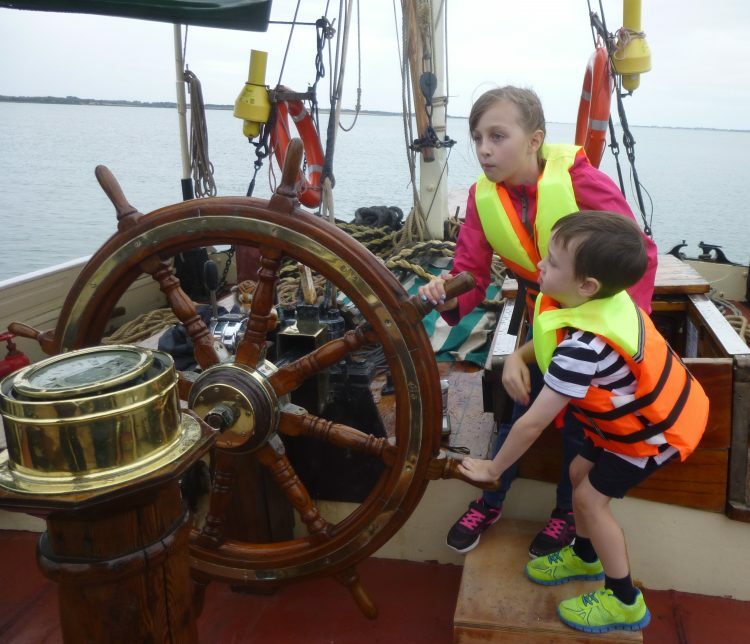 Everyone who wished to had a go at steering – even the smallest guests! I seem to have my eyes shut – which is probably not advisable . 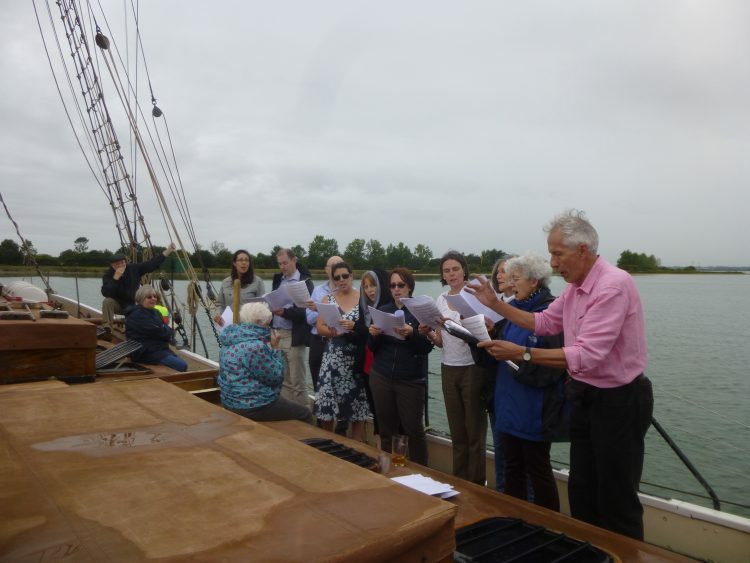 . .
More singing on the way back – ‘Steal Away’ – strangely moving as we glided along in the drizzle. 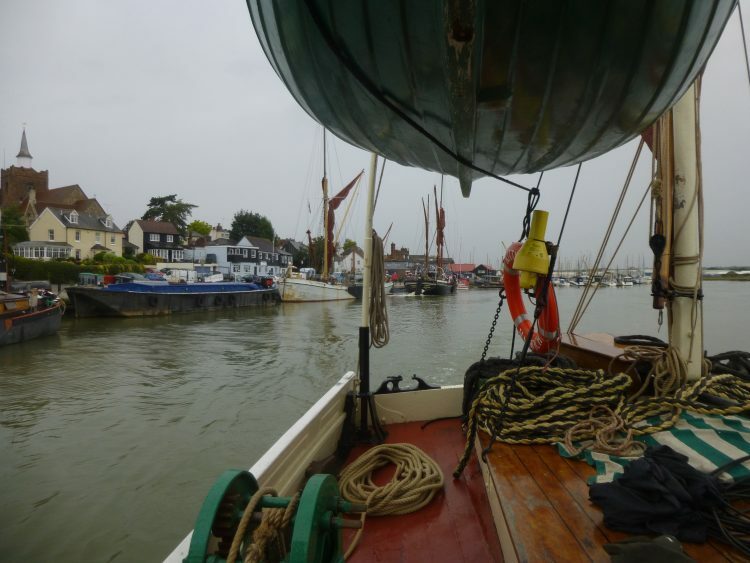 Hydrogen followed us back to the Hythe quay.